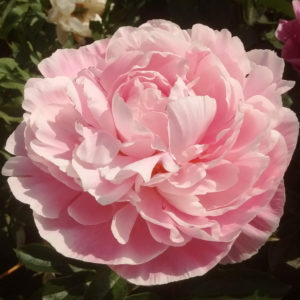 Al Rogers was named after the American nurseryman who wrote an excellent book about peonies. 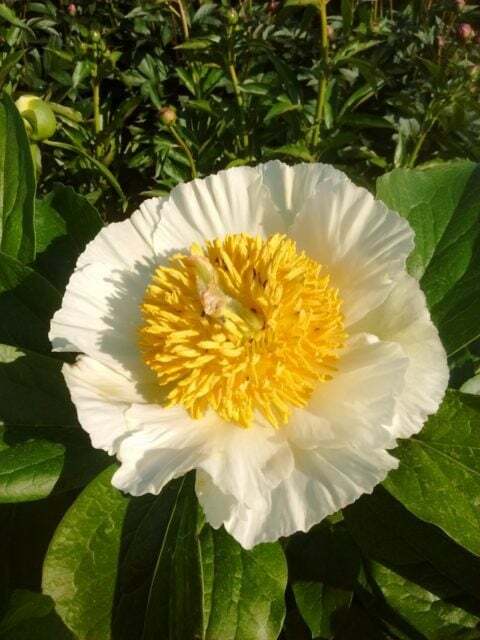 It is an outstanding lactiflora cultivar. Rather short, it is standing perfectly upright and is extremely floriferous. 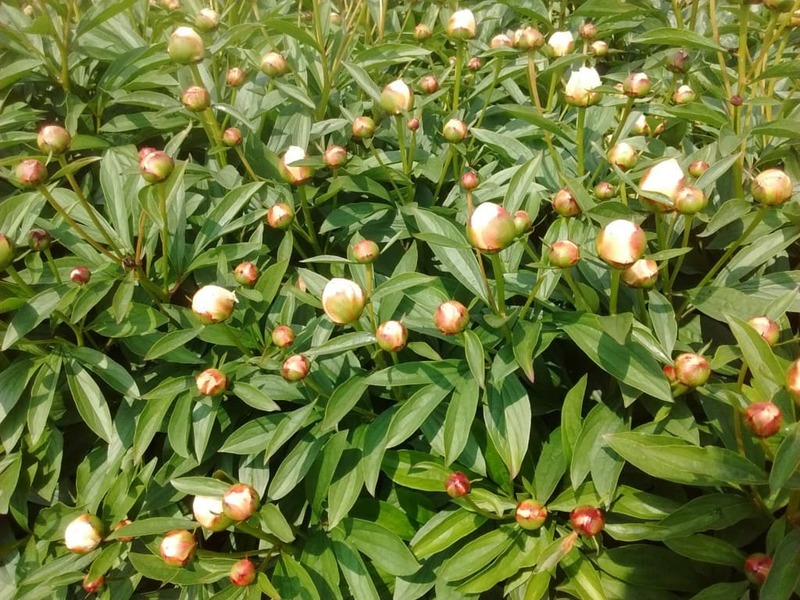 the flowers are average sized, well formed doubles. 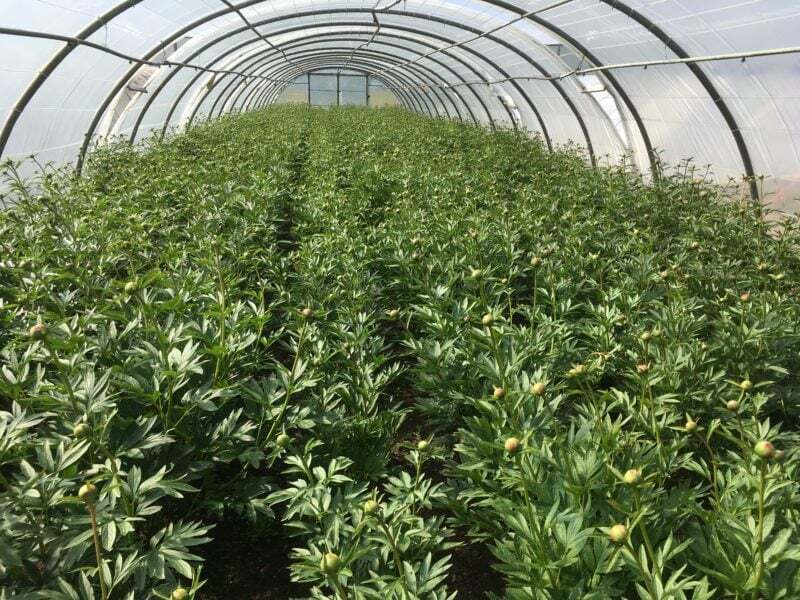 The foliage is dark green, it is a healthy plant and a fast increaser. 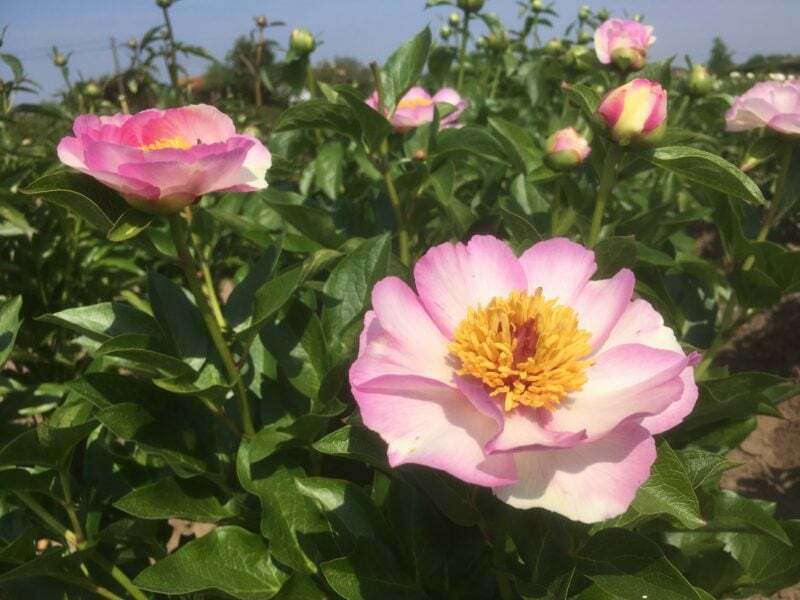 What is also remarkable about this cultivar is that the average two to three sidebuds are all on the same height as the main flower, so the plants look filled with flowers when blooming. 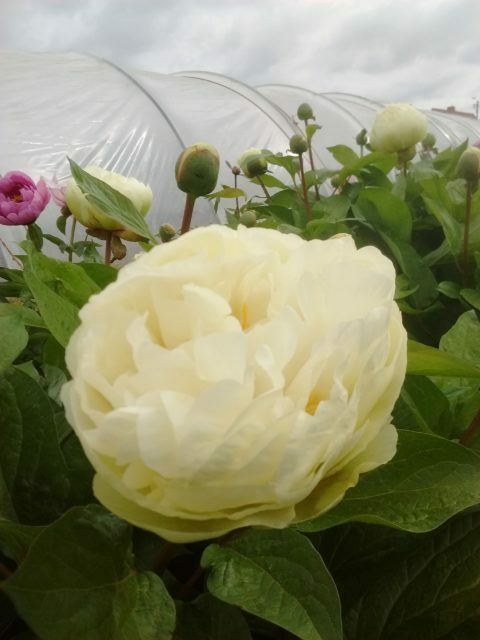 For the average garden this might arguably be the very best double white peony. 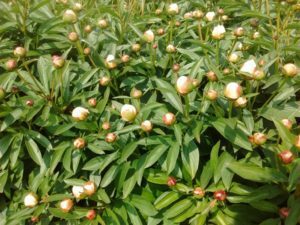 As a cutflower however the length of the stems and somewhat smaller size of the bud will render it virtually useless unfortunately. 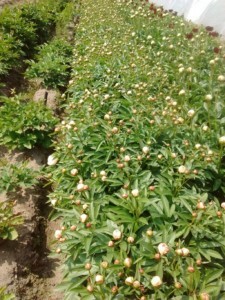 In the current, 2011, listing of peonies available from Hollingsworth Nursery, are listed several new cultivars, incl. ‘Allan Rogers’. 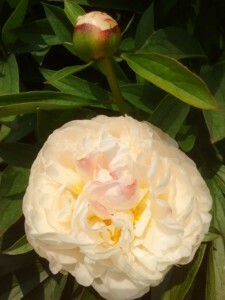 I am pleased that this peony began its life in my garden. In the early 1960’s, only lactifloras (except for the double red form of officinalis) were present in my garden, and I planted mixed seeds from these plants. Of the resulting seedlings, only one was saved, labeled “L9” …. “L” for “lactiflora”. 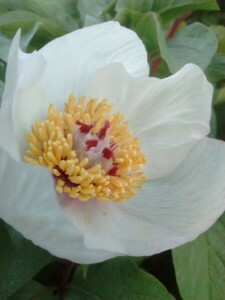 I remember it as a rather low-growing, floriferous, loosely double white. In the early 90’s, when he was still working on his book, Allan flew into Milwaukee to visit Roger Anderson’s garden (Fort Atkinson) and mine (Manitowoc). Here, two plants of L9 caught his eye. So I dug one that fall and sent him the divisions. A few years later, that area of the garden was flooded and the remaining plant died. 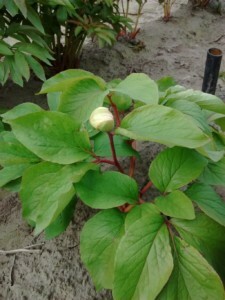 (Along with many other seedlings. Later, a series of ditches and berms steered flooding waters to a low area where Purple Loosestrife and Buttonbush now thrive.) I did not hear anything about L9 for many years except a question from Al asking whether it was a hybrid. I answered in the negative. He may have seen something in the foliage that did not indicate 100% lacti parentage. 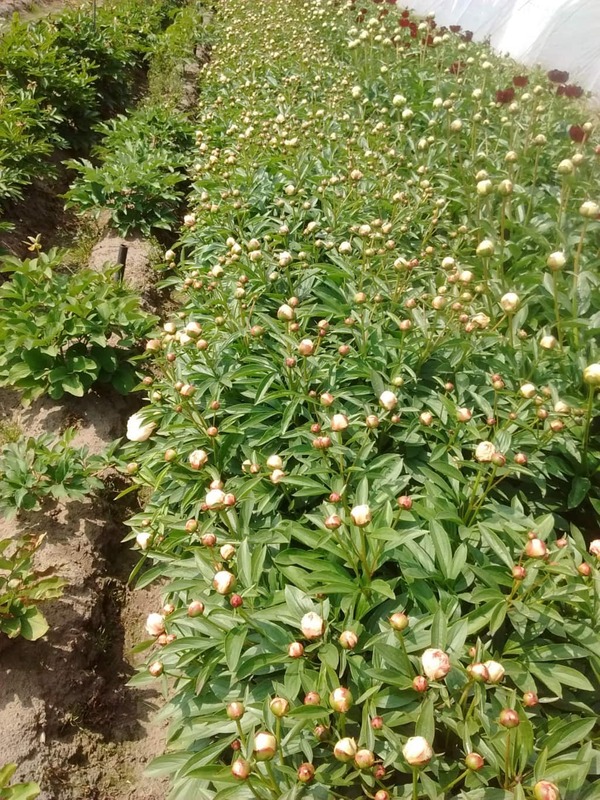 So it was a pleasant surprise to receive photos of L9 growing in Al’s garden, photos sent by Piet Wierstra, owner of Oregon Perennial Company, who wanted permission to name it after Al. A few years ago he sent me a division, so I am happy that it once again is blooming in its first home.